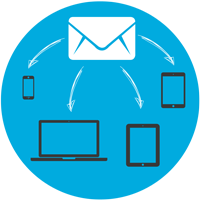 Email marketing is a great way of getting the word out about your event. Get your event out there and attract the right audience with targeted emails. With ACTIVE’s integrated marketing tools, it’s free to send out emails and schedule reminders to keep your participants informed about your event. Choose from a variety of slick templates that are easy to personalise and flexible enough to create exactly the message you want to communicate. Automate emails to be sent after triggers you determine, such as registration confirmations, fee increase reminders, or volunteer thank you messages. You are also able to track results with reports on opens and click through rates. Import, arrange, and store contacts in a variety of ways. You can then segment your lists in the system and schedule updates and confirmation emails.